Cristine Reyes's wedding entourage consists of her sisters Ara and Heidi as well as a few close friends. Cristine Reyes is all set to get married to her fiancé Ali Khatibi in Balesin Island Club, Polilio, Quezon, tomorrow, January 27. 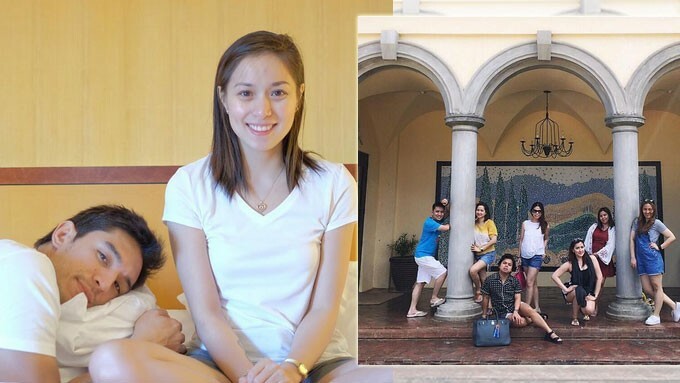 Although the Kapamilya actress has yet to post pre-wedding updates, her older sister Ara Mina took to Instagram to share photos of her arrival in Balesin earlier today, January 26. Ara and Cristine’s sister Heidi also came, together with her husband Alfred Gatmaitan. Apparently, some of Cristine’s closest non-showbiz friends are invited to the wedding, including Cathy Ilacad. Ala Familia Zaragoza ????????? @alfred.gatmaytan @heidigatmaytan @catilacad @karlailacad @harveyalumisin @iamnicholay ??? Ara also brought her two-year-old daughter Amanda in Balesin. In an interview last December, Cristine revealed that she wants an intimate Christian wedding ceremony with only a few family members and close friends as guests. Cristine also said that they chose January 27 as their wedding date because it’s the day they first discovered their romantic feelings for each other exactly two years ago. Cristine related, "Parang nalaman namin na we like each other nung time na yun. "Kaya gusto sana namin yung Balesin wedding namin sa January 27."